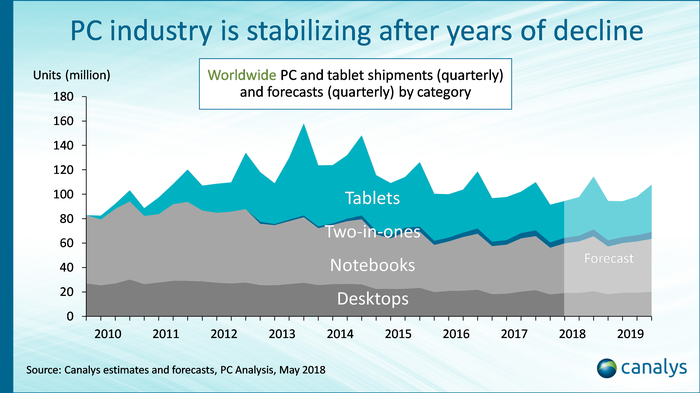 Worldwide tablet and PC shipments are forecast to fall by 2.1 per cent to 398 million units in 2018, as the market moves away from a period of sharp decline. According to Canalys findings, this represents the smallest decline of the past four years, setting the tone for an “era of stability” in the process. 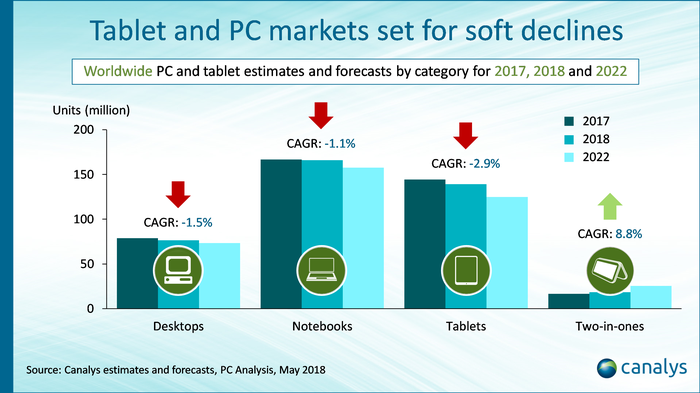 “Commercial customers will be a vital driver for PC shipments in 2018,” Canalys research analyst, Ishan Dutt, said. As explained by Dutt, consumer refresh cycles have “finally started” to stabilise, with the largest PC vendors in the world now focusing on new, fast-growing categories, such as gaming PCs, Chromebooks and convertibles. Meanwhile, on the commercial side, Dutt said Windows 10 migration remains a driver for hardware refresh, as businesses are “forced” to move from Intel Skylake-generation micro-architectures to newer processor technologies. “Vendors now have several strategic options for achieving growth,” Dutt explained. “Firstly, several vendors are now tracking their customers that are still running Windows 7 and will specifically target these accounts with sales teams. But according to Dutt, shifting from a “transactional to contractual model” represents a “major operational challenge” for customers and channel partners, a challenge which will prevent DaaS becoming a major revenue stream in the near-term. “And finally, several vendors will invest to grow the Chrome OS platform outside of the United States this year, with a specific focus on the education sector,” Dutt added. Delving deeper, Dutt said consumer demand will remain weak overall, with components such as dynamic random-access memory (DRAM) remaining constrained in the short-term, meaning vendors will pass most of the increased costs onto customers. “But dedicated gaming PCs have emerged as a genuine hotspot in large markets, such as the United States, China, Russia, Japan and South Korea, where eSports has helped to generate an appetite among younger consumers with disposable incomes who are willing to spend top prices for high performance,” Dutt added. For Dutt, the consumer market is also more likely to see new brands challenging the likes of HP, Lenovo and Dell. “Despite the sector’s weak performance, there are lower barriers to entry from a channel perspective compared with the commercial sector,” Dutt added. Despite a recent rise in iPad shipments, the tablet category remains in decline as consumers show a preference for smartphones as their primary mobile devices and rely on traditional PCs for more compute-intensive tasks. The category is expected to contract by almost three per cent per year on average from 2017 to 2022, down almost 150 million units from the market peak in 2014. “Once a consumer-centric product, tablets are rapidly shifting in a commercial direction,” Canalys analyst, Robin Ody, added. “The connectivity, portability and display size of cheaper slate tablets deliver a solid value proposition to important verticals, such as education, healthcare and retail. But for Ody, knowledge workers need more, with corporate resellers now pitching detachable tablet devices, such as the iPad Pro and Surface Pro, to businesses as part of workforce transformation initiatives. 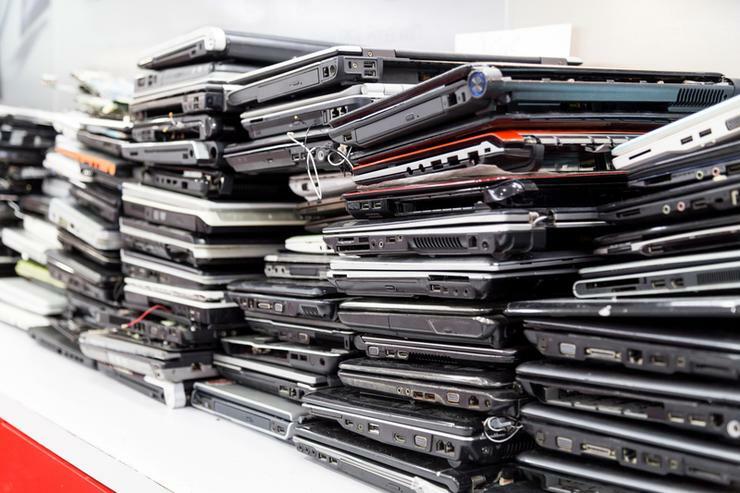 “But these devices represent a very small proportion of the commercial PC market, as IT managers still face constraints, such as price, number of ports, compatibility with peripherals and the prospect of managing an ecosystem of multiple operating systems,” Ody added.